Who wants pizza? The Model UN Club will be selling pizza and cookies TODAY after school in the Main Lobby and by the Cafeteria. It’s just 2-bucks, and all money raised will go to support upcoming MUNer activities. Come hungry! Look around the school, and you’ll see two different kinds of waste receptacles — one is black, and one is blue. One’s for garbage, and one’s for recycling. Sounds obvious, right? Yet every day, PILES of trash are thrown away in the wrong one — and that could have serious consequences for our environment. Student-reporters Lynelle C. and Natalie S. “dig through the garbage” in search of answers. It’s time to RAISE THE ROOF!! There are some GREAT times to be had after school here at WMS — you just need to know where the “party” is. So come along with Student-reporters Annabel P. and Kiersten B. — and Let’s Go Clubbing! 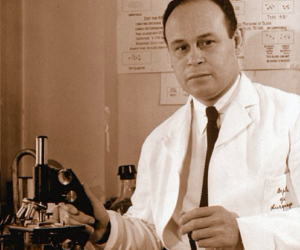 Meet Dr. Charles Drew — a native Arlingtonian! In the late 1930s, Dr. Drew invented a revolutionary medical technique which made it possible to store and preserve blood. His invention saved COUNTLESS lives just a few years later during World War II, when wounded soldiers needed blood transfusions during surgery. In the years since, it’s become one of the cornerstones of our healthcare system. 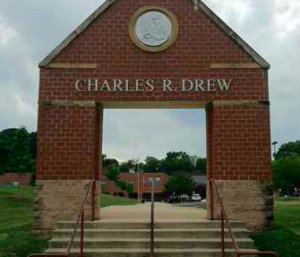 Today, you can see tributes to Dr. Drew all over Arlington: like the Drew Model School, Drew Park, and even his childhood home on 1st Street South is now a historic site. His efforts truly make him a Champion of Change! Finally today, we’ve come to the end of “Kindness Week” here at WMS — but in truth, kindness never really ends. One single act of kindness has the ability to spread from person to person — and may ultimately “boomerang” back to YOU! Stay tuned following the announcements today for a special video that shows just how far an act of kindness can go.